Get in the right frame of mind for the sunny season ahead with our luxe selection of sunglasses from the best designer brands. 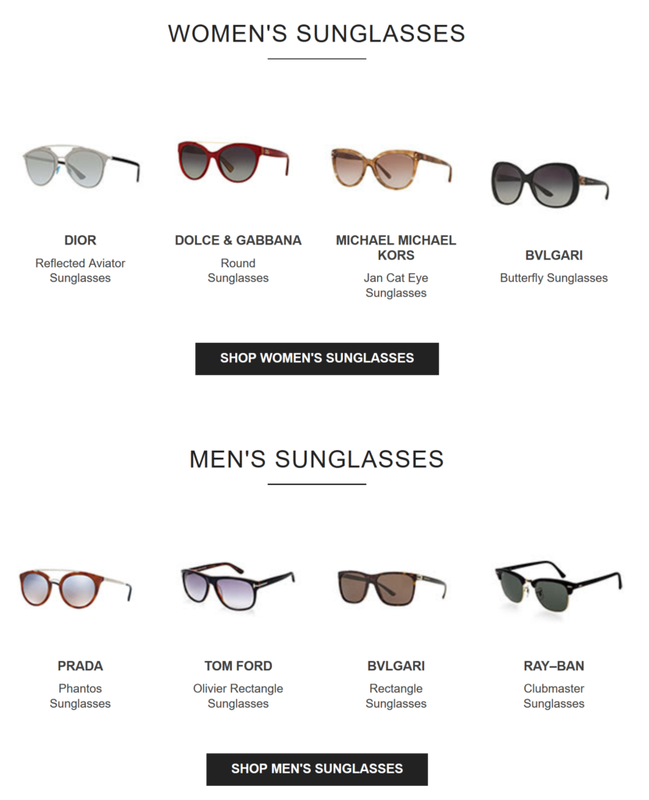 Buy one pair of sunglasses and get 25% off a second pair, until Monday, 12th June. Brown Thomas still have a fabulous sale in clothes such as Maje dresses with 50% off and the Joeseph collection with some sale items. The new cafe, The Green Bean Cafe, has just opened on the 2nd floor. The lingerie department is still worth looking at - only a few sale items left there and of course not to forget beauty some nice moisturising lipsticks from Giorgio Armani and accessories galore!